Graham is a Musical Supervisor for Cameron Mackintosh Limited. 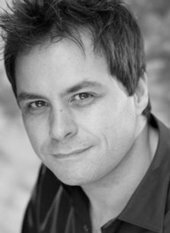 He is also currently the Musical Supervisor for Les Misérables – UK Tour 2018, Starlight Express – 30th Anniversary Production in Bochum, and CATS International/UK tour. Previous Musical Supervisor credits: Les Misérables – Mexico, Half A Sixpence – Chichester & London, CATS – Paris & London Palladium 2014 & 2015 – (both shows as Musical Supervisor & Conductor), CATS – UK Tour, Blackpool & International Tour. Stephen Ward – Sydmonton Festival 2013 & The Aldwych Theatre London, The Wizard of Oz – Toronto & North American Tours(Musical Supervisor, Vocal & Dance Arrangements). Graham created the Orchestral Arrangements and reduction – for the above CATSproductions, which included the recent Broadway production. Musical Director credits: The Wizard of Oz – London Palladium, Oliver! – Theatre Royal, Drury Lane, Les Misérables – The Queens Theatre London, Starlight Express– Germany & 1st National UK Tour, CATS – 25th Anniversary UK Tour. Other theatre credits include: CATS – Hamburg (Assistant Musical Director), Starlight Express – US Tour (Music Associate), Saturday Night Fever – US Tour & Las Vegas (Music Associate), Honor Blackman’s one-woman show, Wayward Women (Musical Director & Piano), Starlight Express – 2nd National UK Tour and the 2002 & 2008 German productions (Music Associate). TV and Radio: The Royal Variety Show, The Olivier Awards (BBC & ITV), The One Show (BBC), I Dreamed A Dream – The Susan Boyle Story, This Morning, The Alan Titchmarsh Show & The Passions of Girls Aloud (ITV). The Graham Norton Show, Elaine Paige on Sunday & Wogan (BBC Radio 2).